From a distance, welding may be viewed simply as using high heat to join pieces of metal together. It is much more than that. 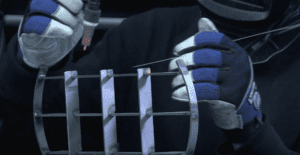 Welding not only combines manufacturing principles, science, but also creativity. We respect our welders and know they are instrumental in the welding process. Duggan welders are certified in over 23 different types of materials and weld joints, including exotic metals. Square groove welds, seam welds, fillet welds, flare bevel-groove welds, and flare v-groove welds are just some of the common types of weld joints we see on a daily basis. These and many more types of welds have been certified by a 3rd party x-ray source as good welds using optimal settings, which allows Duggan to create the library of weld procedures to ensure good welding practices. Duggan Manufacturing can do numerous types of assemblies from start to finish, including full seat structures with over 100 components, window guide rail assemblies, battery boxes, turret mounts, step boxes, and airbag housings. We also offer many light assembly applications, including rivet nuts and clinch nuts. We continuously reinvest in our core capabilities, which has significantly expanded our capacity to deliver welding and assembly services to our customers. 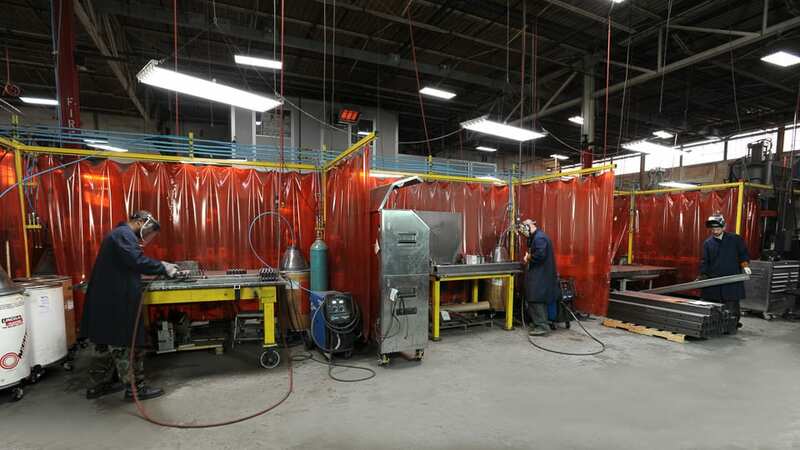 With over 30 welding machines and systems ranging from single and dual armed robotic welders, TIG, MIG, and Resistance welders we can deliver quantities of up to 100,000 parts. We also have the expertise and experience working with materials from stainless steel and boron based hot stamping grades of metals to armor, titanium, brass and copper. Strength: Parts from .25mm to 2“ thick can be joined. Bonds are as strong as the tensile strength of the parent material. Part Sizes: .25 inch to 40 feet. Sizes are limitless in manual applications for MIG and TIG. 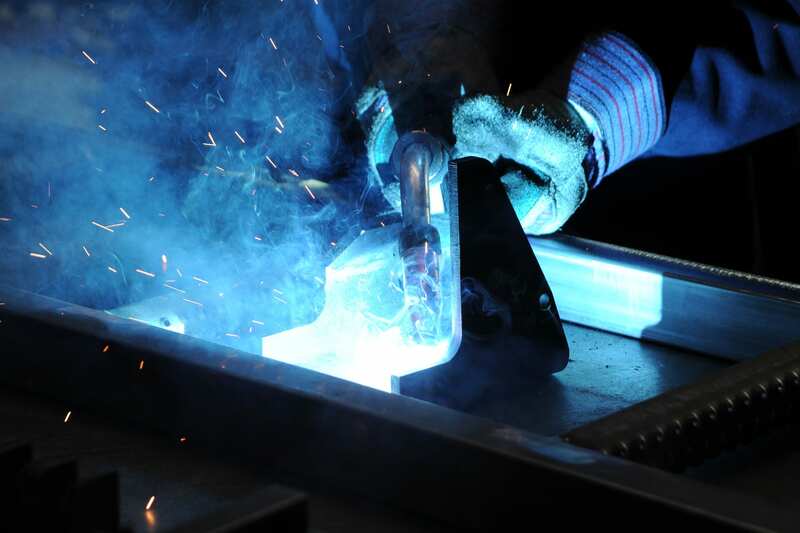 To provide the welding and assembly services offered at Duggan Manufacturing, we employ two “AWS CWI” (American Weld Society Certified Weld Inspectors). What this means to our customers is that we have two experts that know welds as well as or better than anyone else in the industry. Duggan has an ISO 17025 accredited metallurgy laboratory that performs cut and etches (a cross section of a weld, measured under a microscope) on all weld joints to continually ensure good welds. Strength: Parts as thick as 2″ can be joined. Bonds are as strong as the tensile strength of the parent material. We offer both manual or hand welding and robotic MIG welding. 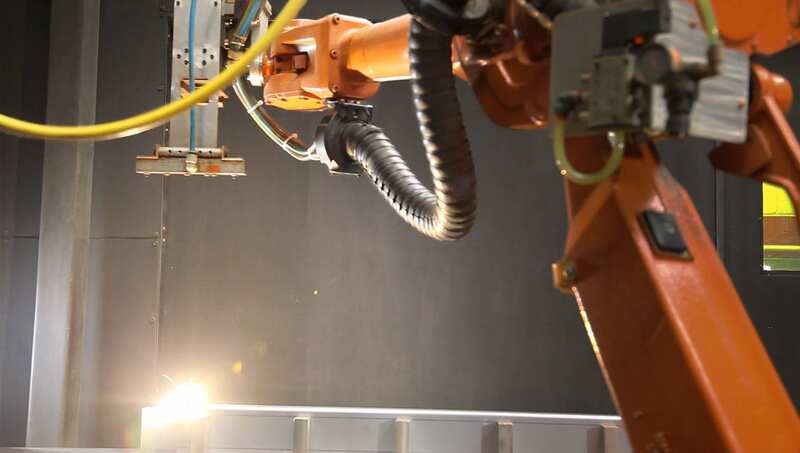 Robotically, MIG welding offers precision as well as accuracy, and increases efficiency and speed, which is necessary for short run production or low volume production work. Manual or hand MIG and can begin in as little as a day or two, with high confidence, because we carry a full library of WPS (weld procedure specifications). What this means is that we have tried and true, certified settings and procedures. Part Sizes: Parts as thick as 2″ can be joined. Bonds are as strong as the tensile strength of the parent material. TIG welding is a similar process to MIG welding. Instead of a continuous wire feed, a long welding rod is utilized for the weld. TIG welding is typically a manual process used for exotic materials like aluminum or tight tolerance sheet metal fabrication. TIG welding is based on skill. TIG or MIG, the welders at Duggan have the ability to weld a thin aluminum can up to a thick armor plate. Resistance welding is also referred to as spot welding. Resistance welding joins two or more metals or fasteners together. 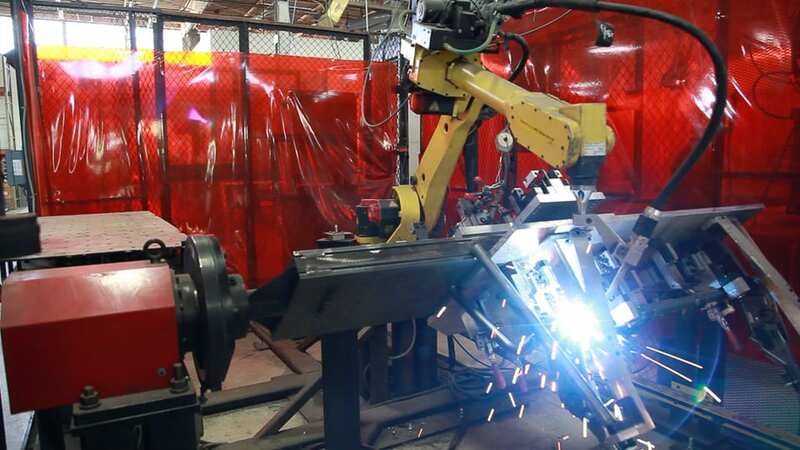 The process consists of a welding head, which holds the metal between its electrodes and applies pressure, and a welding power supply, which applies electric current to the metal to be welded. Verification of weld strength is done with destructive testing or a torque wrench. Over time, as customer demand has grown for resistance welding, we have expanded our capacity and welding capabilities. A simple pedestal unit is utilized for welding low volume resistance welding applications. Duggan also has a DC or direct current spot welders to achieve the strength needed to weld exotic materials like aluminum our thicker materials. For large spot weld patterns, we have a trans gun that can maneuver over a 14 foot span. This allows the work piece to stay stationary and multiple welds can be added quickly. Equipment: IPG fiber powered laser. Precitec head that senses dissentious patterns and adjusts to match actual part changes. 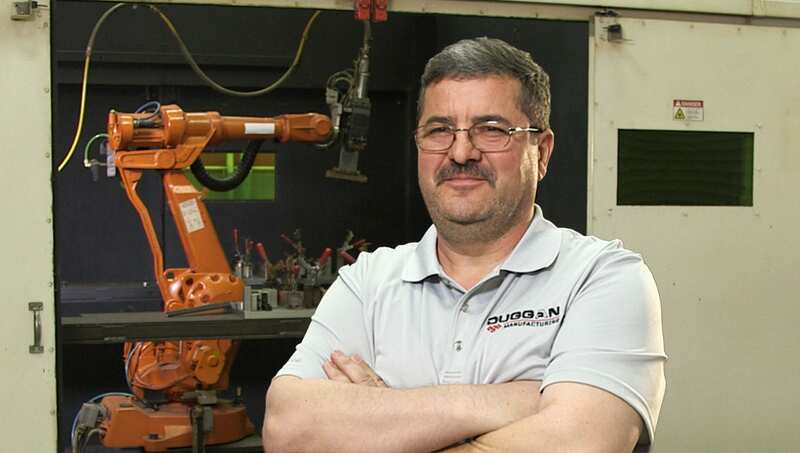 Duggan Manufacturing offers remote laser welding. This is a high strength type of weld using fiber optic lasers to fuse metal together, without using filler metal. The weld produced from the laser is much stronger than the parent material. There is no filler metal so it aids in producing lightweight assemblies. Additionally, there is very little part distortion and in most cases the part tolerances are intact after the welding process. The parts remain at their original tolerances because of the low amount of heat produced by the fiber optic laser. This is commonly called the “heat effected zone” and this zone is the size of a laser beam which results in a rapidly cooled part with no part integrity change after welding. Perhaps the best feature of laser welding is its speed. It is extremely fast, up to 120 welds per minute. In short, Laser welding is fast, accurate and strong. You can find a full list of all of our certifications here.